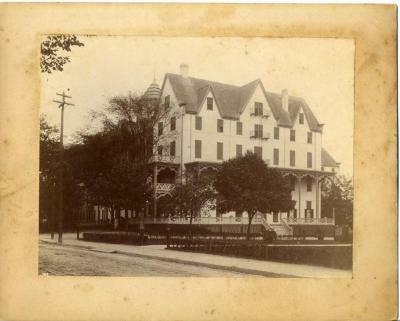 A stereograph image depicting the Aquidneck Hotel on Pelham Street. 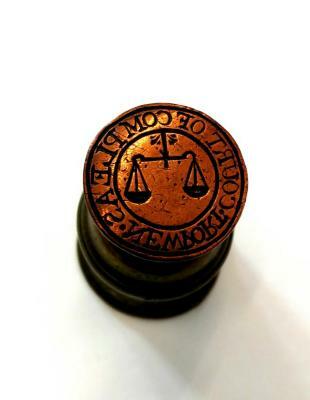 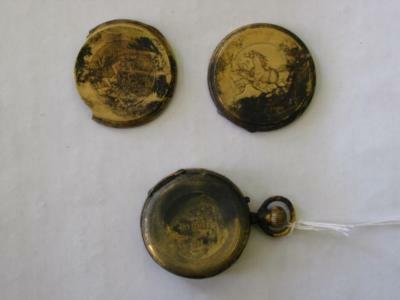 Turned cylinder (goblet shape), may have heavier metal in core, seal inscription surrounds image of scales of justice. 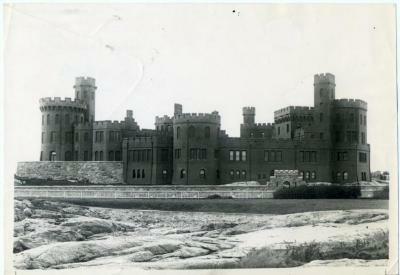 Inscription: "Court of Compleas, Newport." 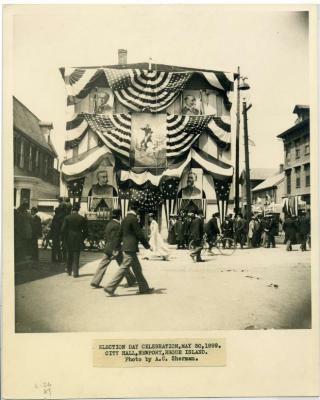 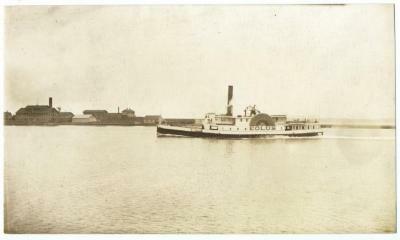 A transparency depicting Eolus, a steamship that provided service between Wickford, Rhode Island and Newport. 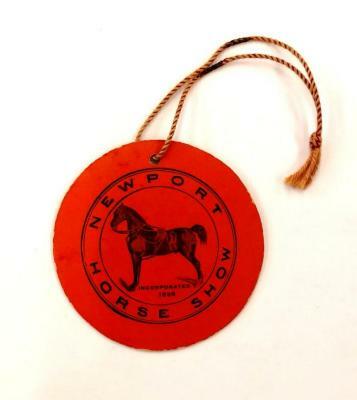 Ship is most likely pictured in Newport Harbor. 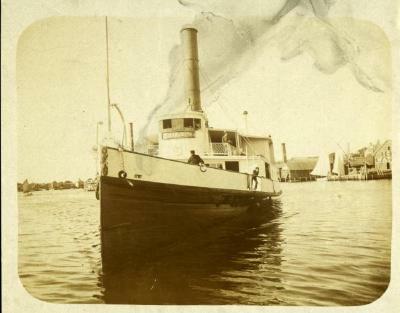 A photograph depicting Eolus, a steamship that provided service between Wickford, Rhode Island and Newport. 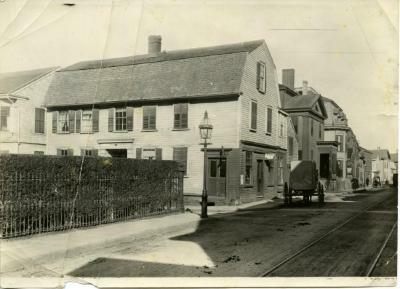 Outbuildings at Fort Adams are visible in the background. 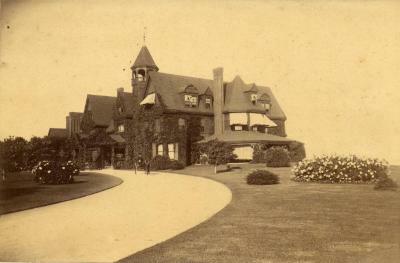 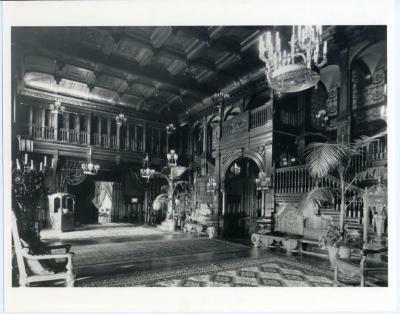 A print (made from an original photograph or negative) of the second Ocean House, located on Bellevue Avenue. 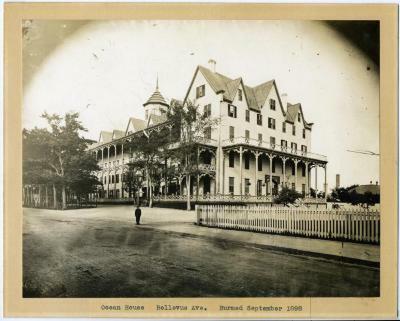 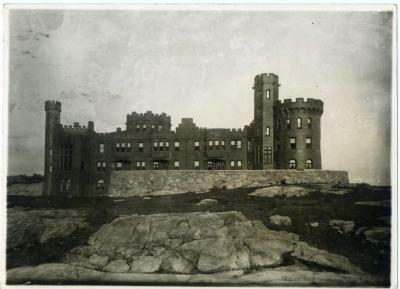 A matted photograph of the second Ocean House hotel, located on Bellevue Avenue. 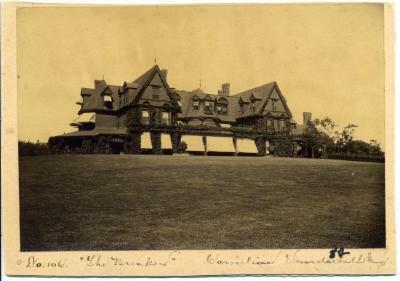 Features include steeply-pitched gables and a large verandah with detailed woodwork. 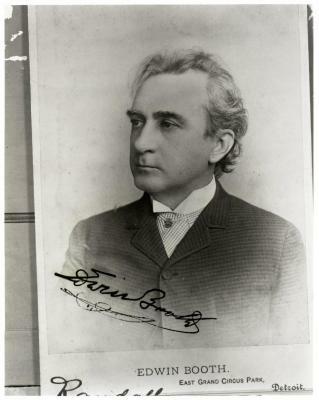 A carte de visite depicting Edwin Booth. 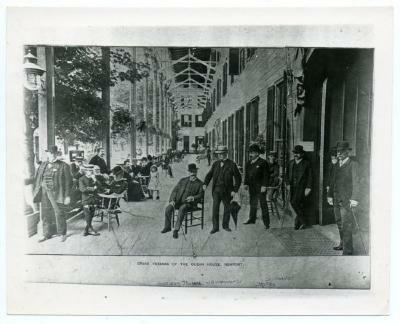 Printed text reads "EDWIN BOOTH./EAST GRAND CIRCUS PARK,/Detroit." 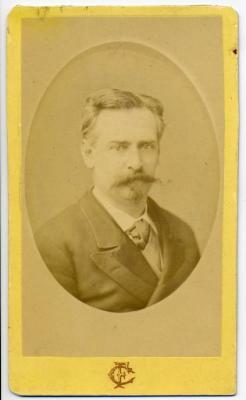 Booth's signature can be seen at bottom left. 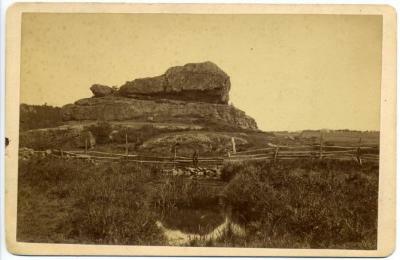 A matted photograph depicting a young child sitting on a fence near Hanging Rock, Middletown. 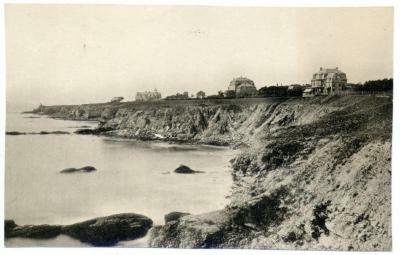 A small body of water and a stone wall are visible towards foreground. 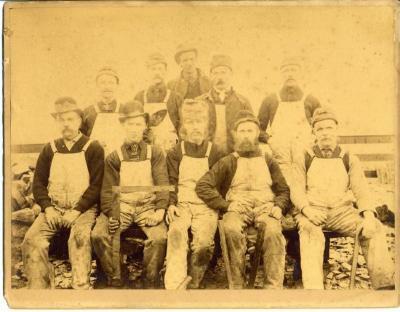 A mounted photograph of stone cutters with their tools. 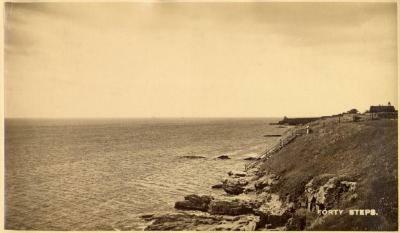 Photograph by James Nicholson. 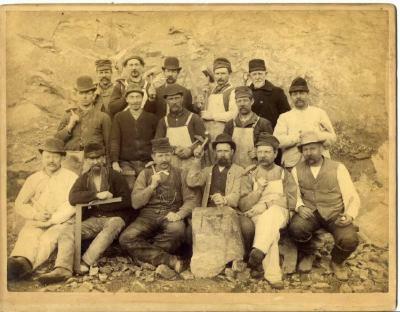 A mounted photograph of stone cutters with their tools (seated in front of a rock wall). 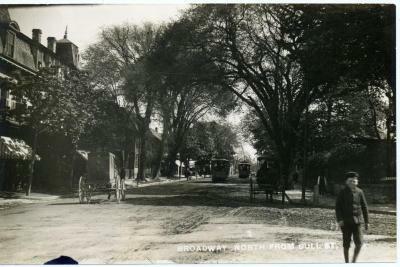 Photograph taken by James Nicholson. 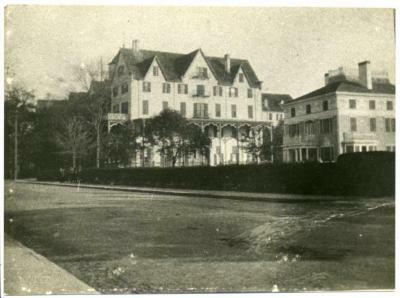 A photograph depicting the Ocean House on Bellevue Avenue. 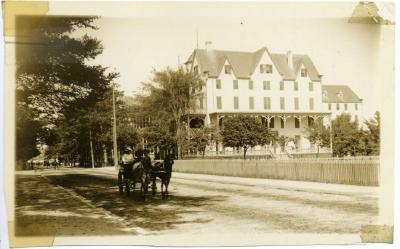 A carriage is seen passing by the hotel. 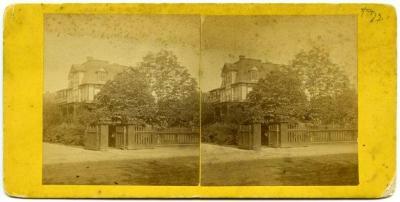 A stereograph depicting the Old Stone Mill in Touro Park. 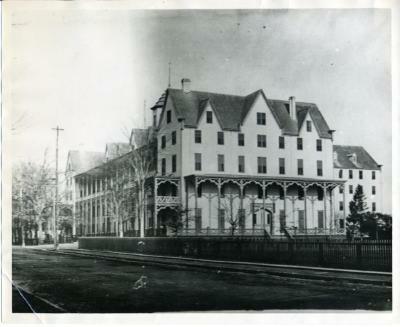 The Mill is shown covered in ivy. 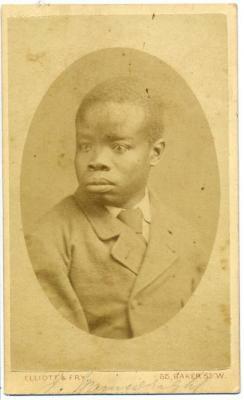 A black and white photograph of John Stedman Ward as a young boy, c. 1899. 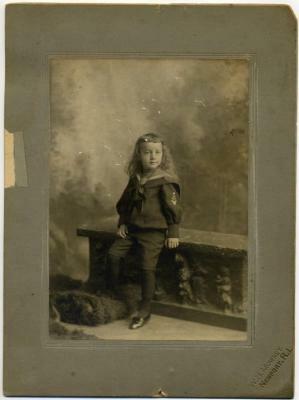 Stedman wears a sailor suit with short breeches; he is posed on a low sculptural wall and a fur-like mat.